This is a developing story, stay tuned at this article for real-time updates on classes and work cancellations. At 3:00 PM today, the center of Tropical Depression "SALOME"was estimated based on all available data at 65km Southwest of Pili, Camarines Sur(13.1N, 122.9E) with maximum sustained winds of 55 km/h near the center and gustiness of up to 90 km/h. It is forecast to move West Northwest at 25 km/h. Metro Manila, Central Luzon, CALABARZON, Bicol Region, and the provinces of Mindoro, Marinduque and Romblon will experience occasional rains with gusty winds due to Tropical Depression "Salome". Visayas and the regions of Ilocos, Cordillera, Cagayan Valley, Zamboanga Peninsula and the provinces of Palawan will experience cloudy skies with scattered rainshowers and thunderstorms due to outer cloudiness of TD "Salome". The Rest of Mindanao will be partly cloudy to cloudy skies with isolated rainshowers or thunderstorms due to localized thunderstorms. Note: PAGASA weather announcement will be updated soon as the latest forecast has been posted. 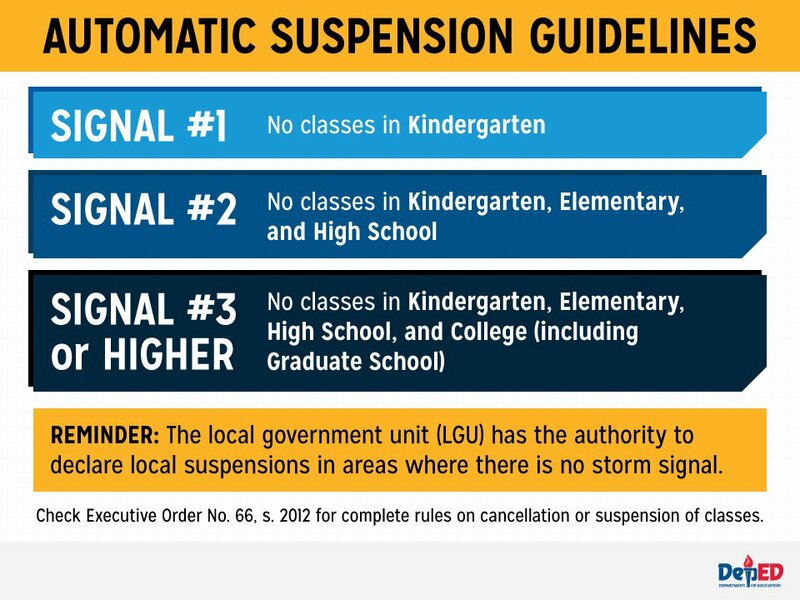 Here is the automatic class suspension guidelines from DepEd. 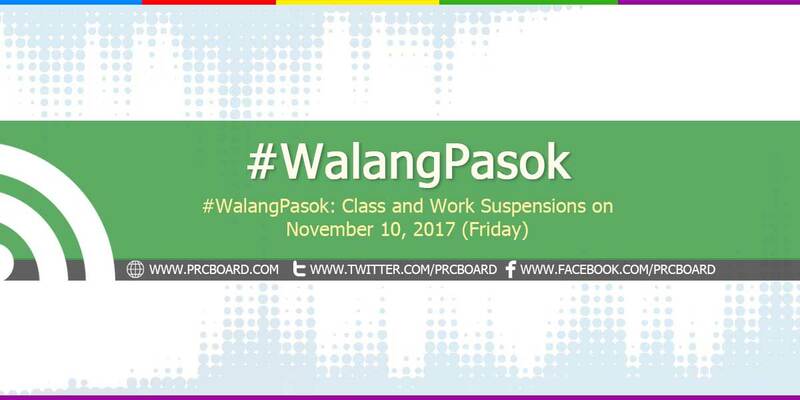 We advise our readers to bookmark this page or check back for November 10, 2017 (Friday) suspension of classes updates. You may also follow us via social media accounts at Facebook and Twitter.